And share your family's immigration story here. ​The White House is engaged in an aggressive attack on our family-based immigration system and the diversity visa program, seeking to cut immigration to the U.S. by more than 50 percent and end sponsorship of relatives other than spouses and children under 18 years of age. Using our young people as bargaining chips, the White House is demanding that drastic cuts to family immigration and the diversity visa program be included in any deal to offer Deferred Action for Childhood Arrivals (DACA) recipients a path to permanent status. The administration has already lowered the number of refugees welcomed into the U.S.
Hi, My name is _________ and I’m a constituent of ____________. I want Congress to pass a clean DREAM Act now. Will your boss commit to voting against any spending bills unless there is a solution for DACA recipients? I’m also calling in support of our family-based immigration system and the diversity visa program. I oppose lowering the number of immigrants welcomed into the country and cuts to any of the family-based visas or the diversity visa program which ensures a path for those who have none. 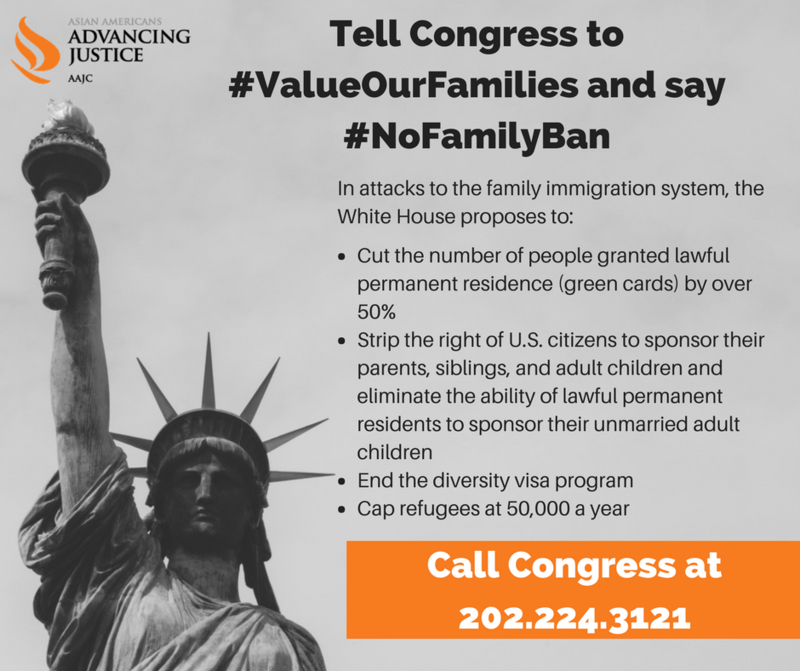 Will your boss commit to defending our family-based visas and diversity visa program?